High input cost and low realisation from produce are hitting the farmers hard. 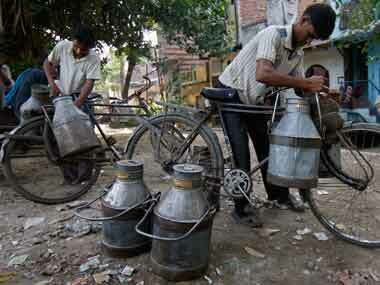 Economic Survey: Why are milk prices on the climb? Several reports in the recent past have suggested that a change in Indian dietary habits towards protein-rich foods has been responsible for the surge in prices of milk. Clint Eastwood's film seems more at ease when dealing with Hoover's largely undocumented home life than when mapping the more public highs. Delhi HC sought the stands of the Union and city governments on a news report claiming that 70 per cent of milk samples lifted from the national capital were found to be contaminated. 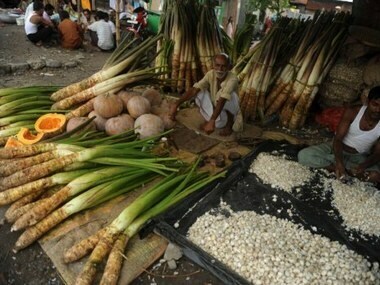 Judging by the CPI, prices in the economy are at much higher levels than those indicated by the WPI, which is hovering around 9 percent.